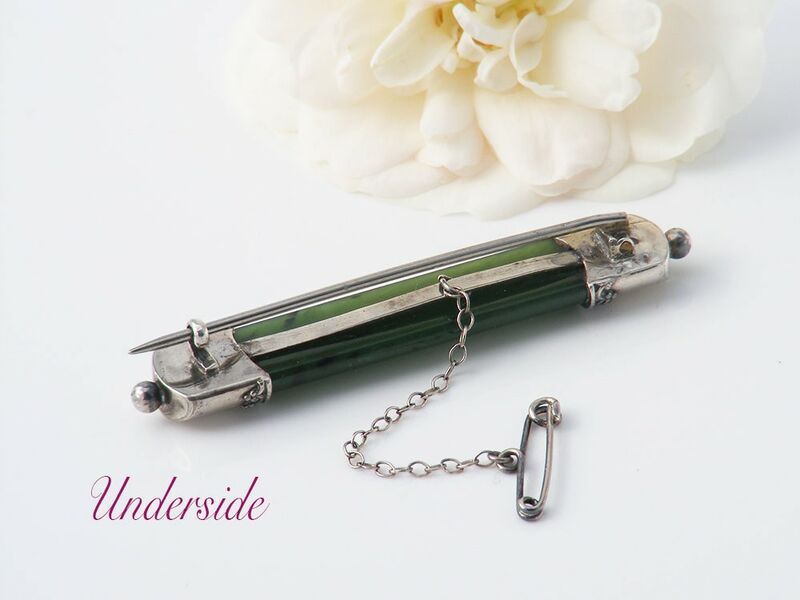 An elegant antique bar brooch made in the Victorian era, richly colored deep green nephrite jade that has been beautifully capped with sterling silver. The bar is nephrite jade and the end caps are sterling silver, unmarked (not unusual for the era), testing as 925 sterling silver and guaranteed as such. 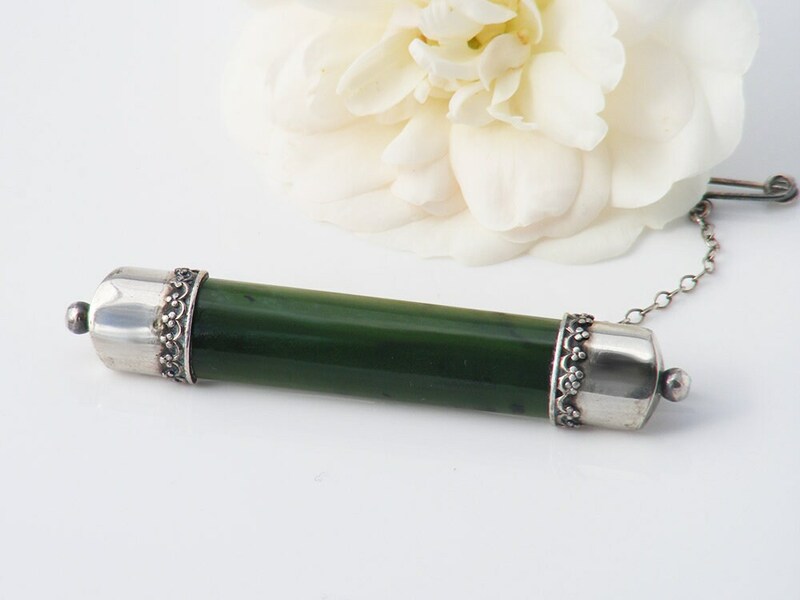 The jade is a lovely emerald green with soft inclusions when held to the light. 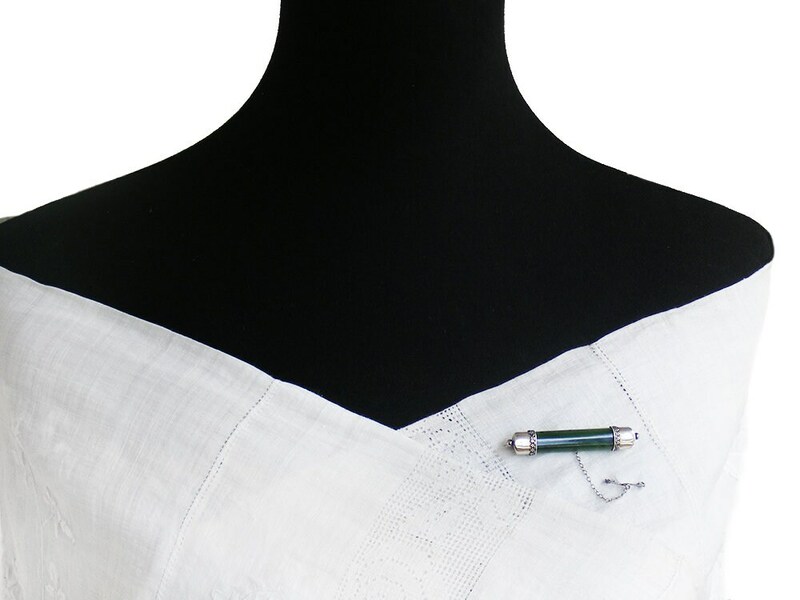 The brooch has a simple c-clasp closure and a safety chain is fitted to the back. Size: The brooch is 2.35 inches or 60mm long and 10mm wide. Condition: Excellent - no issues to report. The antique 'c' clasp and hinge are in good order, not fragile at all and the pin is super sharp. 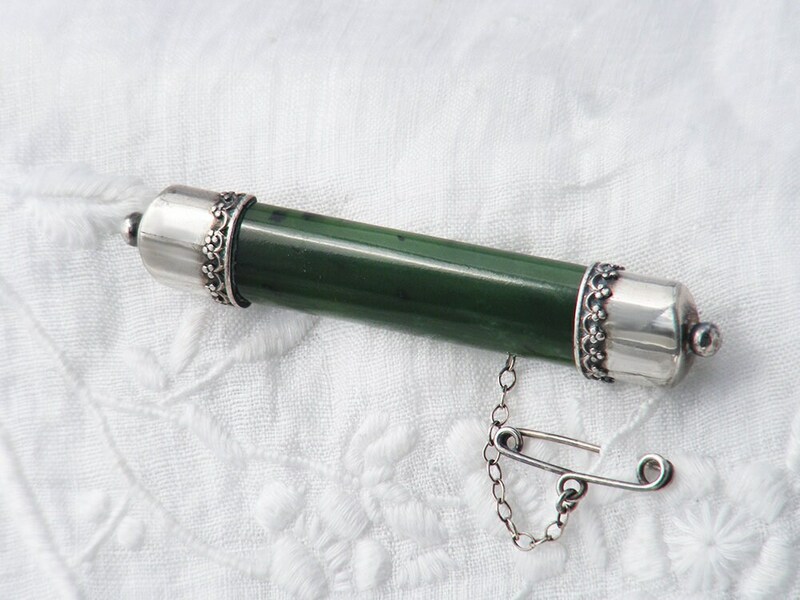 No chips or scratches to the jade; this brooch has been well cared for. A brooch that displays the classic embellishment and style of Victorian jewelry, a lovely piece for a collector but very wearable. 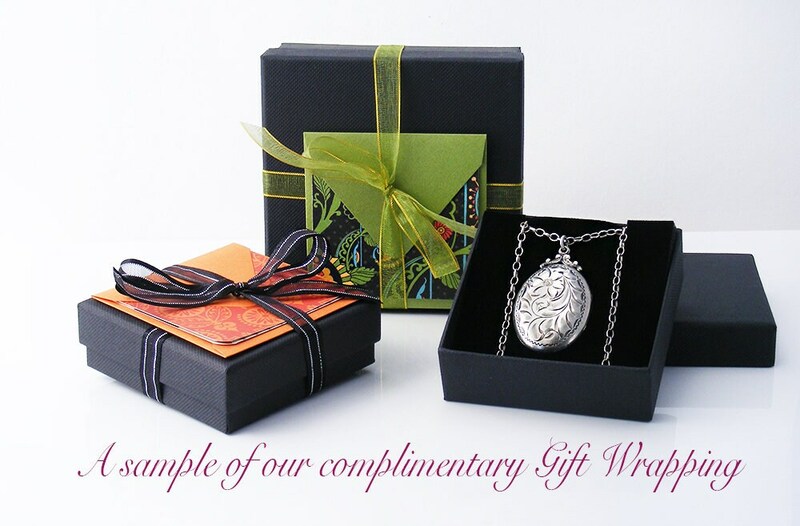 Beautiful to accent a lapel or scarf.